M69PB and SS69PB: Flat weighing surface 30" x 30"; 1-1/2" high platform. 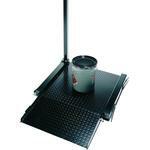 Package includes (1) hinged ramp 30" w x 18" l, retracting wheels, live indicator column and live side rails. 2nd ramp can be added at any time. No custom sizes available for this model. 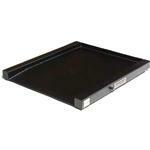 M6900 and SS6900 in standard sizes: Flat weighing surface 30" x 30" or 36" x 36"; 1-1/2" high platform. 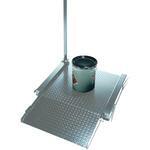 Package includes (1) ramp with attachment brackets 30" or 36" w x 18" l. 2nd ramp can be added at any time. Contact factory for custom sizes. M6950 with live ramps: Flat surface 30? x 30? with (2) 9? live ramps for total length of 48". Optional configuration: 30" x 42" flat surface with backstop and (1) 9" live ramp for a total length of 51?. Contact factory for custom sizes or design. Free matching and drop shipping when purchased with any Pennsylvania brand indicator or parts counting console. 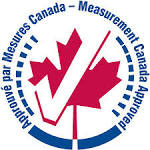 PORTABLE 30" x 30" Barrel Scale. COMPLETE PACKAGE Includes base-mounted Column with Mounting Plate for PLUS+ Indicator, convenient Retractable Wheels and 1 hinged Ramp (not live). Additional hinged ramp is available. Unique live ramps built into the weighbridge: Scale platform, side rails, and ramp are live 30" wide x 60" long (flat area is 30" x 30" with on/off access via live ramps) for weighing oversized items. Ideal for laundries and other areas where space is tight. 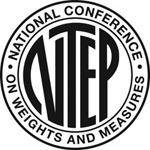 Mild Steel & Stainless Steel construction as indicated. 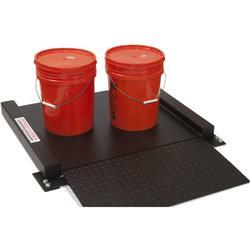 Single ramp and back stop can be substituted by special order (flat surface is then 30" x 39") – for push on/pull off weighing with flat surface 30" x 42", single live ramp. Ideal for laundry applications where space is at a premium. Can be made with (1) ramp and backstop for 30" x 48" live flat weighing surface (Call Us).